Dear Denver, As my grandmother used to say, “When in doubt, twerk it out”. Where can I go in this town to dance? As much as I love to dance, I rarely make the time to go these days. And yet every time I do, I am left thinking, “I really need to do that more often”. So whaddya say Denver, let’s do it more often! 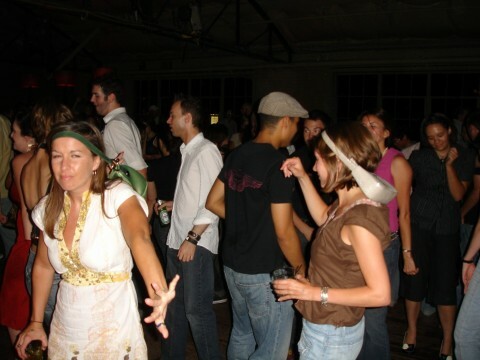 Below is a sampling of the most popular (and soon-to-be popular) dance nights, no matter what your work schedule is like. See anything that’s missing? Let me know in the comments section or send me an email. Special thanks to Patrick Collins for providing the bulk of the content! And in the words of MC Hammer, let’s turn this mutha out. MOM Denver – Motown on Mondays at the Shag Lounge – Every Monday, starting at 9pm; no cover. Dance Lessons at Charlie’s – Every Wednesday, Thursday, Friday, and Saturday. Join the party at Charlie’s for a free hour of two-step, waltz, shuffle, or line dance lessons from 8 – 9pm. Motown Thursday at the Goosetown Tavern – Every Thursday, starting at 9pm – Motown – Motown jams served up for free all night from DJ Maladjusted and Caramello. Kitchen open until midnight; drink specials all night. Lipgloss at Syntax Physic Opera – Every Friday, starting at 9pm – New-wave, electro, indie dance – This party has been going for over 10 years! It’s a Denver staple and always reliable. National guests often perform. $5 cover after 10pm. Denver Disco at Bar Standard – Every Friday, starting at 9pm – Nu-Disco, Disco, House – Falcon Punch is the best part of this night; he only DJs every few weeks, but is great. $5 before 10pm and $10 after. The Solution at the Meadowlark – Every Friday starting, at 8:30pm – Hip Hop – The best hip-hop night in Denver, national guests, hosted by DJ Low Key, Sounds Supreme and Lazy Eyez. $5 cover after 11pm. Guilty Pleasures at the Sputnik – First Friday of the month, starting at 10pm – ’90s, 00’s, classic party anthems – a party dedicated to guilty pleasures and cheesy awesome dance jams. $5 suggested donation. First Fridays at Tracks – First Friday of the month, starting at 6pm. Babes Around Denver present the largest monthly women’s party in the US. DJs Shannon, Markie, Tatiana, and Blaque Gurl provide something for everyone – country/retro/dance/hip-hop. $5 before 9pm, $7 after 9pm. Everyone welcome. Drag Nation at Tracks – Last Friday of the month, starting at 9pm. Voted Denver’s Best Ongoing Drag Event by Westword, this celebrity drag show usually ends in a big ole dance party. $10 pre-sale, $12 at the door. Everyone welcome. Mile High Soul Club at Syntax Physic Opera – First Saturday of the month, starting at 9pm – Soul, Funk, pre-1975 – Curated by some of the hippest cats in town and always an absolute packed house. One of my faves for sure. $3 cover after 10pm. So What! at the Beauty Bar – Third Saturday of the month, starting at 8 or 9pm – Jazz, Hip Hop, Funk – One of Denver’s longest running parties (founded in 1993) and super hip. Regular national guests. Cover charge varies, but usually around free – $5. Weird Touch at Syntax Physic Opera – Last Saturday of the month, starting at 9pm – Ditch the limelight, forego the scene, and explore the delightfully dimly lit corners of your city. Weird Touch is a new(ish) all-vinyl dance party collaboration offering an eclectic, yet cohesive mix of darkly tinged nu-disco, indie dance, and weird house. With DJs Fancy Matthew, Tyler Snow, and DJ Shannon von Kelly, it’s only $5 to dance dance dance. The Hundred at Beauty Bar – Fourth Saturday of the month, starting at 9pm – House – Hosted by option4, national guests every month, crowdsourced from a community of tastemakers. Cover charge varies depending on who is spinning. Goodness at the Meadowlark – Every Sunday on the patio from 3 – 10pm – Hip Hop – An early Sundaychillout party integrating music, eats, and drink . Food provided by Moontower Tacos and Denver Dessert Trolley; no cover. Sundaze on the Patio at Ace – Every Sunday, except the last of the month, from 4 – 8pm – DJ Jon Nedza and friends spin funk, soul, reggae, and whatever else feels right. No cover. Thanks so much for the info/link! Pingback: The Solution w/DJ Low Key & Lazy Eyez…Every Friday night at the award-winning Meadowlark…Here’s what they say about us… | . :The Solution w/DJ Low Key & Lazy Eyez:.